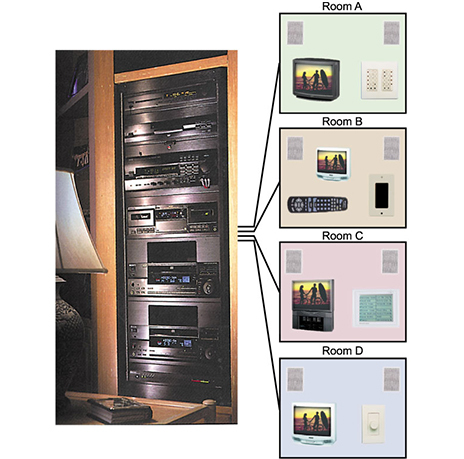 Imagine having hi-fi music in every room of your home with nothing more than an elegant wallmounted key pad and virtually invisible in-wall or in-ceiling speakers showing. This is the dream system of interior decorators and is typically only found in multi-million dollar homes. 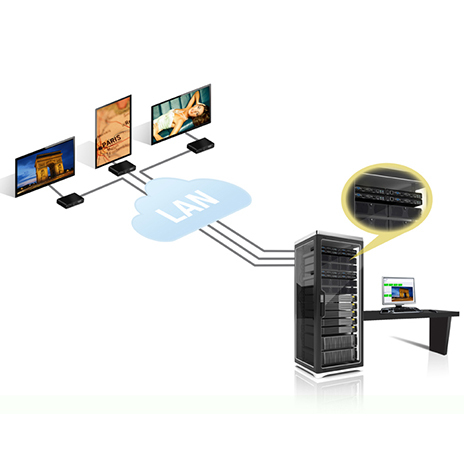 Whole house audio/video refers to a centralized audio/video system that pipes music and video/cable signals throughout the home. 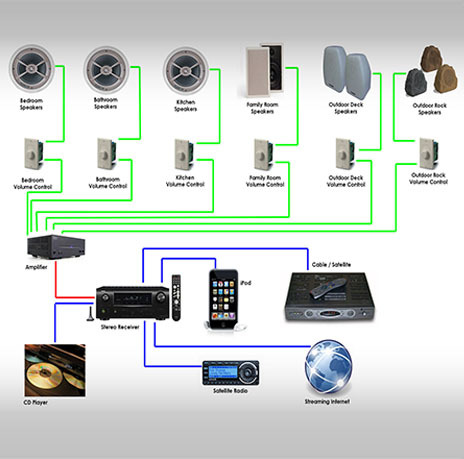 Because the system is centralized, the only components present in each room are speakers and TV screens. 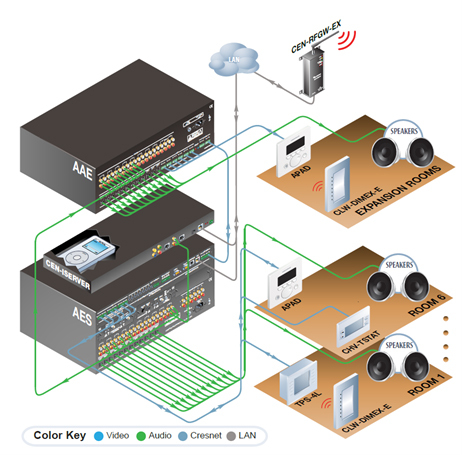 Control of the system is made through a handheld remote or wall mounted control panels. 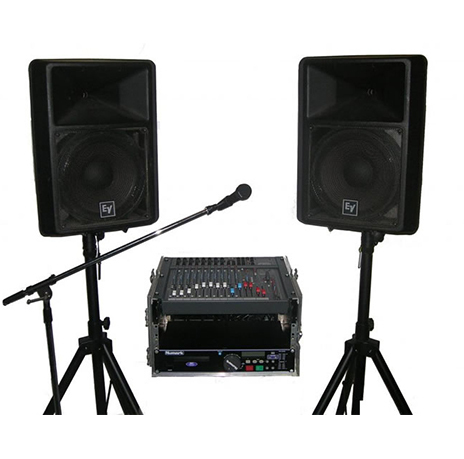 Client can select though touch screens or remotes, any program from the central system like Satellite, Tuner, DVD, iPod etc and play in any selected rooms, different program in different rooms simultaneously. 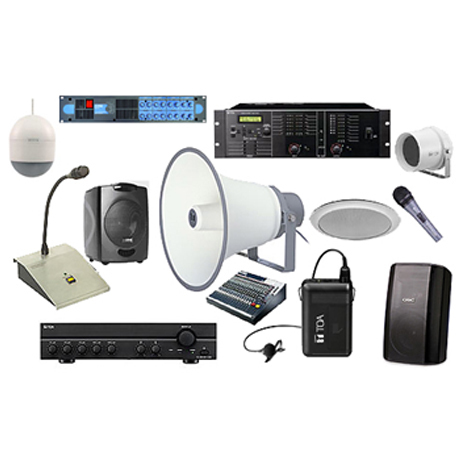 Communicating around office buildings, regardless of whether you need to cover one or more floors, or multiple buildings across a site is straightforward with a public address system. 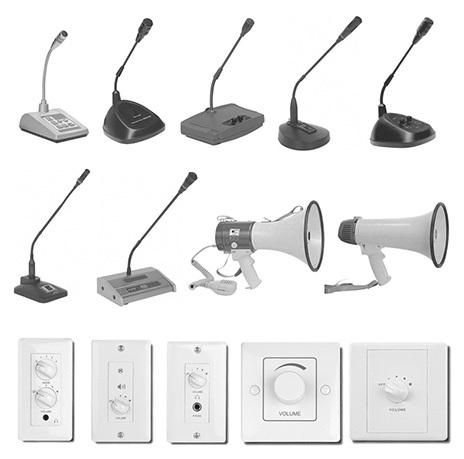 We have supplied and installed systems in numerous office buildings for both public and private sectors, allowing staff to communicate quickly with each other and relay important safety announcements easily. 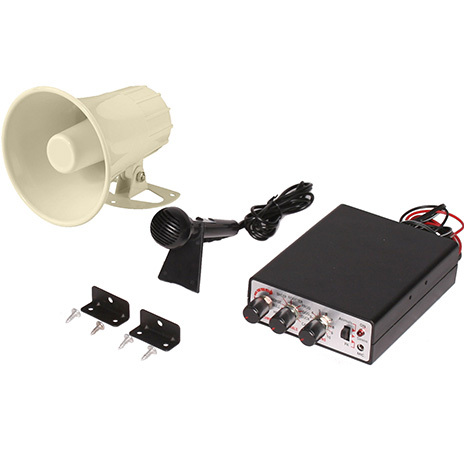 Our systems can be integrate with alram signals, telephone systems and other devices to make communicating easy. Using major brands like Bosch, ATEIS, InterM, TOA etc, we are capable of design and install of any kind of system requirements like factories, Multi storied complexes, Hotels, restaurants, schools and other business facilities..